Such moves should trouble any constructive dissenter and civil libertarian: the vesting of powers in a military force to be used against domestic disturbances. While the United States has a troubled history with it, posse comitatus still remains something of a letter restricting the deployment of the US armed forces on the streets of the country’s cities. That doctrine has effectively seen an expansion of the FBI’s role to occupy what might have been seen in the past to be traditional military roles. In Australia, no such reining in powers and impediments exist, though States have been hamstrung by the requirement of making a request to the Commonwealth to initiate military action in the event that their police forces lack the means to protect themselves or the Commonwealth’s interests. This has left the prospect of enlarging the army’s role in civilian life disturbingly possible in times of perceived crisis. Utterings since the 2014 Lind Café hostage taking by Man Haron Monis, absurdly described as a “siege” by the counter-terror fraternity, combined with other foreign terrorist incidents that call out powers be broadened have become regular. 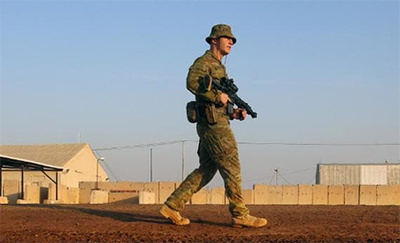 Last week, the Australian Attorney-General Christian Porter, who occupies a position where this sort of thing shouldn’t happen, announced that members of the Australian Defence Force would be vested with “shoot to kill” powers to be used only in “reasonable and necessary” circumstances to protect life. The ADF will also be given pre-authorised power to respond to threats on land, at sea and in the air, and given expanded powers to search, seize and control movement at the scenes featuring terrorist incidents. This power would also apply to quelling riots. This blotching of the historical record ignores the fundamental wisdom of separating the functions of police and the functions of defending the realm in an industrial society. Muddling these merely serves to doom the security of citizens, rather than enhancing them. Such is the danger of amalgamating, rather than dispersing, forces. As with matters affecting liberty, the bungling nature of proto-authoritarianism is what spares it. While the ADF might well have these new powers, police are still vested with the lion’s share of dealing with terrorism incidents. The powers in Canberra have also insisted that the military’s Tactical Assault Groups specialised in anti-terrorism activities can only be deployed nearer their bases in Sydney and Perth. Changing legislation, for all the aspiration of the drafters, does not necessarily change operational realities.